Quickly and easily visualize new home Interior designs in 3D with Microspot Interiors Professional. 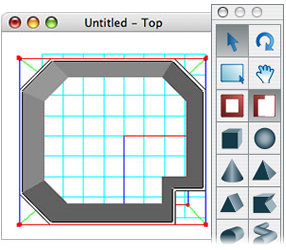 If you are looking for interior design programs for the Mac platform, Interiors will provide you with everything you need. Microspot Interiors Professional is one of the few applications of its type that appeals to both the seasoned professional and the home user. 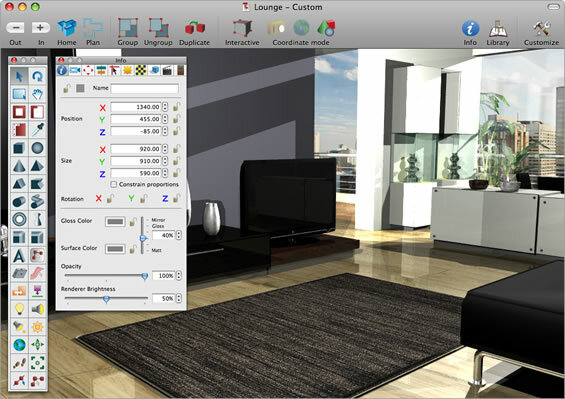 As one of the most known interior design programs for Mac, our award-winning software provides all the power of a more expensive application. The learning curve takes little time, so whether you are a professional 3D designer or a complete newcomer, the possibilities are endless. Immediately create accurate visualizations of rooms before they are actually renovated, furnished or decorated. Check out our gallery for some examples. Our advanced drawing tools do the work. Design the shape of your room, add windows, paint, texture, or furniture by simply dragging the furniture you require and dropping it in the room. Spaces can be as large, complex, intimate or simple as the user dictates. 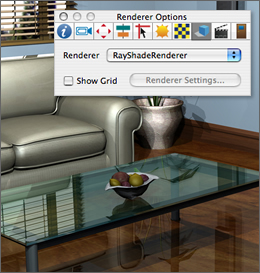 In addition, different lighting tools, including sunlight, can be selected to provide ambience. Scales, ceiling heights, the number of squares on the grid and the snapping distance are also simple to control. Export a hi-resolution rendered image or create a walk through movie! The latest version has been fine tuned under the hood to give you the fastest Interiors yet. The Microspot renderer is now multi-processor aware so if you have more than one or a dual-core processor the renderer will take advantage and use them all, the result, rendering times are slashed. Interiors makes it simple for even the 3D novice to quickly produce impressive results. Look for more in-depth details about our interior design programs for Mac on our Interiors Professional product page.